Picture this: You’re tasked with buying a 30ml bottle of perfume. It has to be something that smells good, isn’t tacky or some horrible celebuscent, and could be classed as a classic due to its unfailing longevity and popularity. Oh and you cannot spend more than £11! That’s doable right? You may be thinking that you have been set an impossible task, and you would not be blamed for thinking so, after all there are good cheapies on the market but £11 is VERY cheap. But I am very happy to say that you do not have to blow the big bucks to find a decent bottle of perfume, all you need to do is head down to The Body Shop and pick up a bottle of White Musk Perfume Oil. White Musk is The Body Shop’s flagship fragrance and was released way back in 1981. 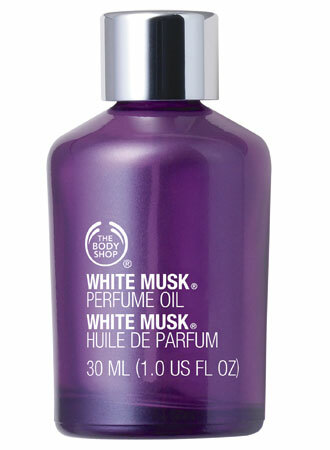 The Body Shop describe White Musk as “iconic”  and I have to agree, it’s one of those fragrances that everybody knows. It is instantly recognisable and has stood the test of time where other, lesser scents have fallen by the wayside. White Musk may sing a simple little ditty but it is its pleasant simplicity that has secured its well-earned status as a perfume icon. I said above that White Musk sings a simple ditty, and this is completely true for its Eau de Parfum and Eau de Toilette incarnations, but not so much for the Perfume Oil. I hadn’t really paid that much attention to the Perfume Oil up until very recently, mainly because I’m not overly keen on oils (I like big, diffusive sillage) but also because I am very familiar with White Musk so I don’t spend too much time thinking about it. It just so happens that I picked up a bottle of the Perfume Oil in my local Body Shop a couple of weeks ago for the first time, and I was blown away by how marvellously complex and beautiful it is. White Musk Perfume Oil starts incredibly earthy and rich. It has this wonderful dark, mushroom-y quality to it that makes me think of the warm, damp floor of an ancient forest. What’s clever about it is that it manages to do ‘earthy’ and dank without being dense, this is possibly due to the mixture of sweet flowers (lily, ylang, jasmine and rose) that lighten things up slightly, as if just a tiny beam of sunlight is peeking through the trees. Iris plays a strong part throughout the Perfume Oil’s lifespan and whilst it may not be of the super-high quality and artistry of many iris fragrances it is put to good use by ramping up those rooty, earthy notes and taming the animalics. Speaking of animalic notes, it would be fair to say that White Musk (in all concentrations) is not a beastly musk, and I don’t think it is trying to be. There is a faint whiff of something dirty, but it is more damp and stale smelling than anything attributed to an animal. The Perfume Oil, as expected, is relatively linear – what you put on at the beginning is pretty much what you are left with after a good number of hours, and I do mean a good number of hours, the longevity is excellent and it lasted through 24 hours and a shower on my skin. But as it melds in with the skin (it is one of those “your skin, but better” scents) more of the warm, amber-y and vanilla tones come through, making for a rather cosy finale to a surprisingly complex fragrance. Did I mention that it’s only £11? White Musk Perfume Oil is available 30ml size for £11. An Eau de Parfum, Eau de Toilette and range of matching body products are also available. What are your favourite cheapie scents? – Please leave your answers in the comments box below! 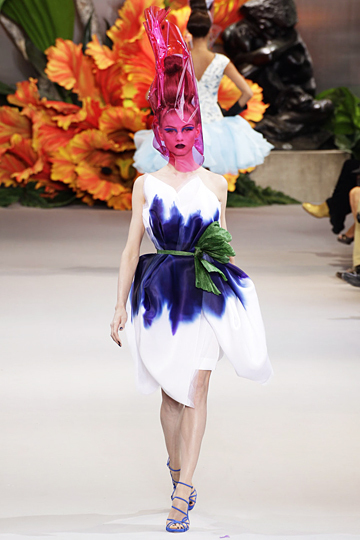 Image 1 fashionrollcall.com. Image 2 mimifroufrou.com. thebodyshop.co.uk. osmoz.com. Posted in Feminine, Floral, Musk, Perfume Reviews, The Body Shop and tagged Body Shop, Floral, Huile de Parfum, Perfume, Perfume Oil, The Body Shop, White Musk. Bookmark the permalink. We don’t want a grump B! If you need anything smuggling from the UK Body Shop just let me know and I’d be happy to oblige. I remember this was my first real perfume and I used to think I was the bees knees wearing this, I graduated onto more expensive perfume then fell down the rabbit hole to perfume land, I really should re visit this one, I didn’t even know they still produced it, if nothing else it will give me a trip down memory lane. It’s always worth looking back and the cheapies can be the goodies! However I will admit that, those many moons ago (’86 if I remember correctly), I did rather enjoy it’s ‘sibling’ Sandalwood Oil, which was fab’. (It’s very first incarnation mind, for the later one unfortunately no longer possessed an ounce of it’s previous woody-fabulosity.) – I often find myself thinking back and wishing I’d squirrelled away an old bottle somewhere. 😦 Or at least a few drops left to sniff at occasionally. Gosh, I bet you kick yourself for not stocking up on the sandalwood. It’s always the way though, I didn’t stockpile my beloved Kingdom when it was discontinued and now I have little left and it costs a fortune since McQueen died. Do try the White Musk Oil if you come across it. I’d be interested to hear your thoughts. I have never tried the oil and I’m not sure I’ve even noticed in a store before… next time I’m at the mall, I will look for it – sounds like it just might suit. I like the other concentrations but the oil sounds to be even better. Do try it, it really is lovely! I shall make sure to try the Yves Rocher, thanks for the rec. I’m a big fan of Bronze Goddess! Wow! Will have to give this one another try, also from The Body Shop I would recommend Neroli Jasmine, particularly if you are a sandalwood fan. Another one that seems to be available and affordable is J Lo Deseo which doesn’t smell celebrity fruity-floral-vanilla- musk thank goodness! It’s citrus, patchouli and bamboo. The 50 ml is often around £12 on Amazon – I think it’s a bargain! Ooh yes, Neroli Jasmin is very lovely! I tried their four new ones the other day and have to admit that I was a disappointed, they are usually very good at doing cheap but well made scents. Can the perfume oil be used in a cool mist diffuser? No idea! You’d have to look at your diffuser.